Chris Grayling spent today’s Conservative Party Conference speech spreading lies about Britain’s unemployed. Grayling continues to spread the flagrant lie that there is plenty of work out there and anyone not in work is just not putting in enough effort. 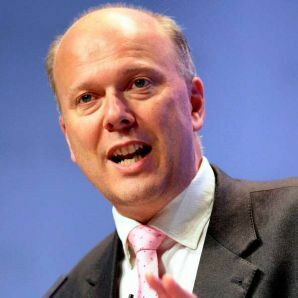 Grayling made the outrageous claim that there were “entire communities where no one worked”. This is simply untrue and unsubstantiated. Why does no one pick him up on this? government in history. Fundamentally, there is a lack of descent paid employment for millions of people in Britain. This point is one that this government is refusing to face up to. As a result, we have a government who looks to streamline people back to work through the Work Programme (ideally by not spending any money) rather than trying to focus our regeneration on manufacturing and skilled labour. Grayling cannot be allowed to get away with blaming those who are unemployed for being “lazy” – they need to face the harsh reality that unemployment figures reflect government policy not personal attitudes to work.